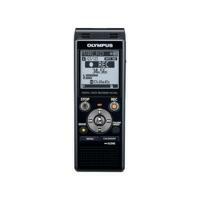 The Olympus WS-853 voice recorder has low-noise directional stereo microphones to deliver superb stereo recordings so you hear the smallest details of the meetings. Regardless of where the person speaking was located or the direction of speech, you can clearly capture the information. Intelligent Auto Mode automatically adjusts the recording level to match the volume of the sound to always provide a even level. The convenient built in USB connection allows you to both transfer your files and charge at the same time.